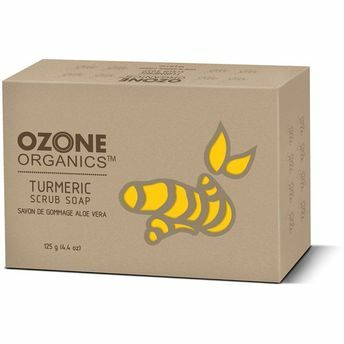 Ozone Organics Turmeric scrub soap keeps the skin clean, smooth and radiant with its antiseptic and purifying properties. Famous by the name of 'Indian Saffron' turmeric possesses medicinal properties that halt aging. This Turmeric Scrub Soap ensures that you get a refreshing experience every time you step into the bath.